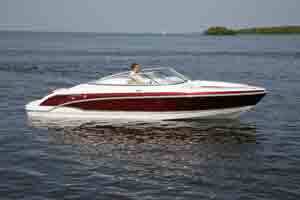 Take a ride on the Formula 370 Super Sport with the boats.com video boat review team. 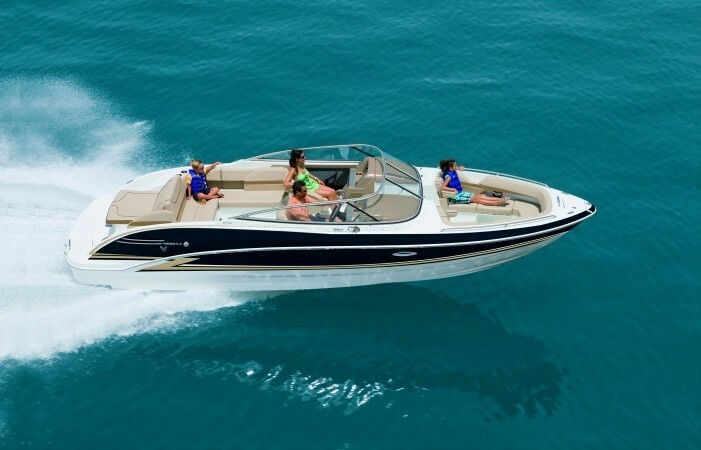 Design and build an express-style sport cruiser that offers performance well beyond what the competition offers, while still providing top-notch comfort both above and below deck. 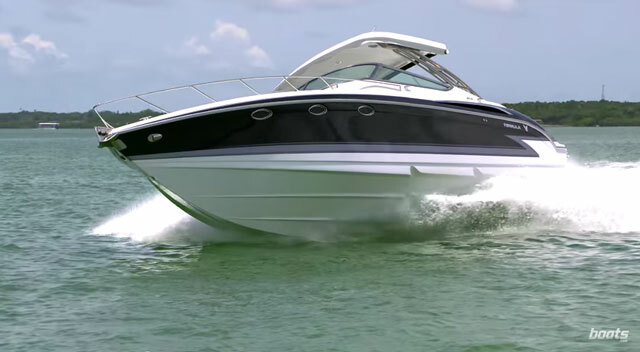 The 370 SS feels beefy underfoot, crushing a bay chop and boat wakes with no problem. Hullsides are cored with Corecell, graphics are Imron, resin is premium AME 5001, and stainless-steel fittings are 316L. Formula backs it with a 10 year structural warranty and a five-year protection plan on all components and accessories. 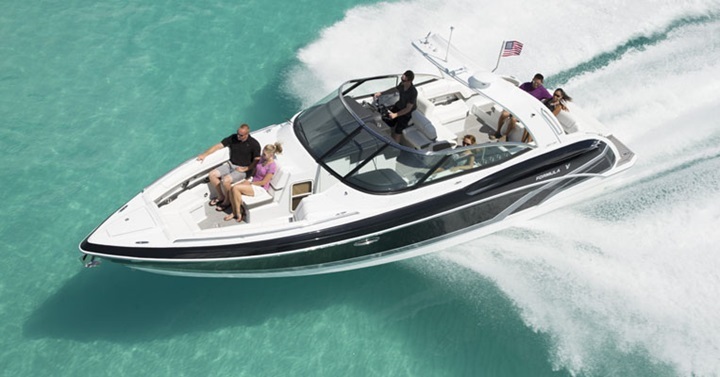 This is where the 370 Super Sport really sets itself apart from other boats. We cruised in the mid 40's and hit a top-end of 54 MPH. When I said "The photo boat can't keep up," in the video, I meant it. It's a big boat, so don't be surprised when it takes a few seconds to get out of the hole. Once it does, however, it builds speed steadily. 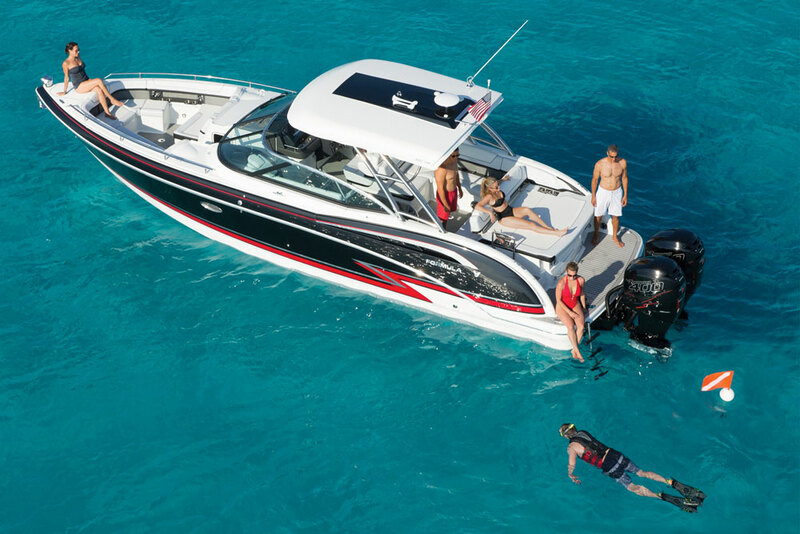 Some twin-step boats have handling problems; the Formula 370 Super Sport does not. 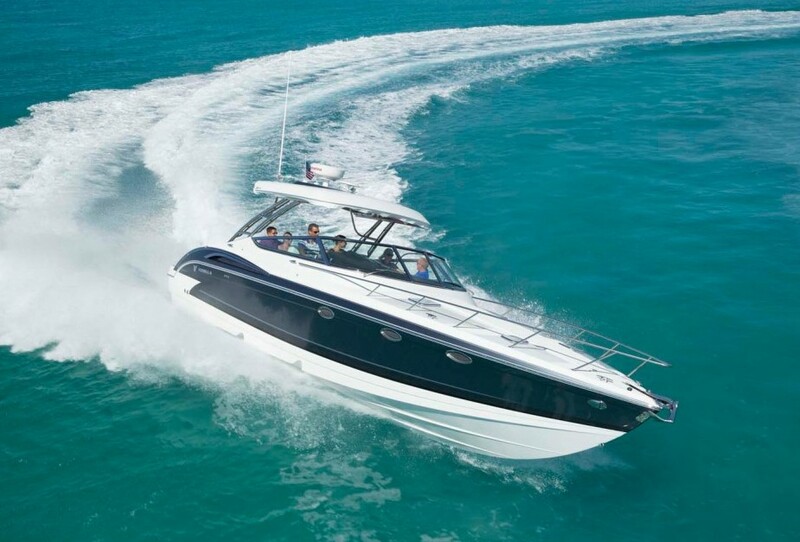 Twin-stepped hull maintains a firm grip in turns and never feels skittish or loose. Running attitude is fairly flat, so visibility is never a problem. 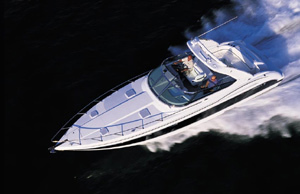 Cabin is much larger than expected for a performance-oriented boat. The helm station layout is excellent; electronics, gauges, and controls all are easy to spot and lay your hands on. Seats are extremely comfy; Formula uses DriFast foam and 36-ounce outdoor vinyl. -Smart galley layout, shifting refrigerator location to maximize use-able space. 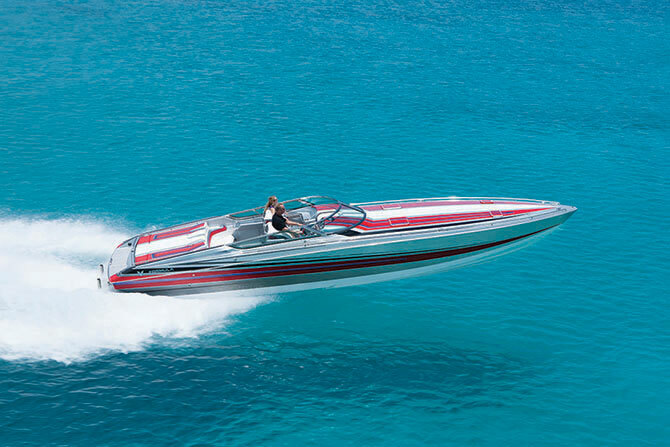 To find out more about the 370 Super Sport, visit Formula. If you think you already know enough to want one, here's a link to some current Formula 370 listings.